I'd like to introduce my father-in-law Doug Miller into this blog for reasons that will become evident very quickly. Doug was a music professor at Penn State for thirty years, and so the fit of our family with the musical-ness of Allegro seemed inevitable. Most times you'll find Doug working outside on the beautification of our landscape (which he refers to as causa pulchritudinus, or "for the sake of beauty alone") but as you'll see, he writes wonderfully about our story here as well. Any of you who regularly read Carl’s musings here know that he had, and has, an enormous respect for John Crouch. 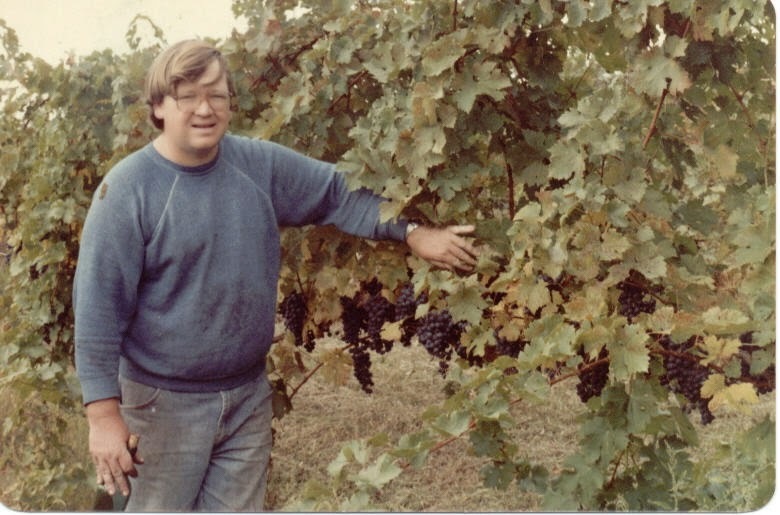 He regularly refers to him as one of the finest wine makers in the history of east coast wines. That’s an opinion shared by many knowledgeable folks. 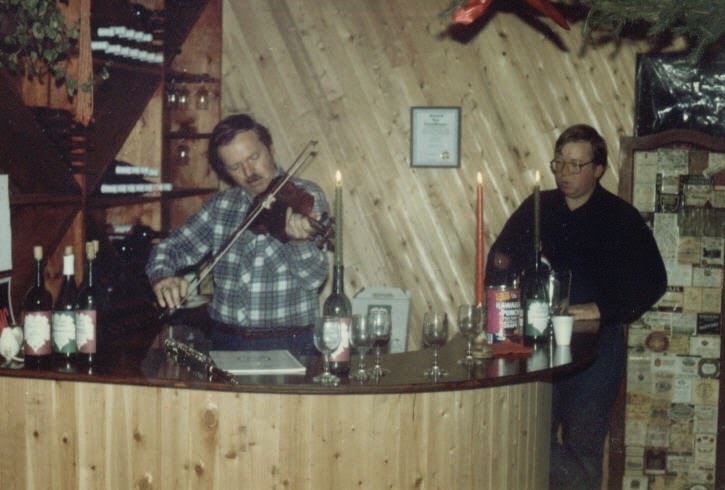 Another aspect of John, whenever the “Allegro Story” is told, is the description of John as “one of the two musician brothers who founded Allegro in 1980” (reflected in the winery’s name.) Sometimes there’s a tag that “one was an oboist and one was a violinist” and perhaps a reference to the fact that during his last years John spent some time composing, using his computer and a synthesizer. We’d occasionally hear that John had done some composing earlier in his life as well, though we didn’t ever see any scores. During the one year that Carl and John both lived here on the vineyard estate (2001/02) Grace and I would often come down to help out a bit and to see our two young grandsons. And inevitably whenever John and I met he would invite me to listen on a cassette player to his most recent composition project. I was somewhat impressed, though I must admit that the synthesized sounds often made it hard to appreciate the musical craftsmanship. Fast forward to about a year ago: Carl was preparing to create his 2012 Bridge, a quality dry red blend which first made its appearance in 2001, honoring the “bridge” between John and Carl as Allegro’s winemakers. It was their “almost Cadenza.” For the 2012 Bridge Carl was hoping to use an image of one of John’s musical scores as the label. But unfortunately we had no scores. So I was tasked with becoming the sleuth to learn if any of John’s manuscripts existed and if we could put our hands on them. Over several months I pursued leads with the lawyer who had been his executor, with Penn State since John had bequeathed much of his estate to PSU for scholarships and fellowships in the wine/vineyard areas, and finally with a woman we had met at the time of John’s death and memorial in March of 2002, and who had been a close friend of John’s, Ray Hearne. As almost a passing comment at one point Ray Hearne indicated that she was going to be having dinner in Baltimore the next night with a friend who was also a friend of John Crouch’s. She thought he might have some of John’s music as well. Well, that passing comment has led this past week to a magical and revelatory experience for Carl and me, and to the story of a second blog I’ll post here soon.